At Fighting Fit in 2016 a new approach will be taken. You will see a different side to our in-house training where we will work on 4 weekly blocks of our Fighting Fit programming methodology. We will be dropping our bootcamp mentality and instead our aim is to work with individuals on a much needed basis. Bootcamps are becoming old and stale…you sign up for 6,8 or 12 weeks and then what??? Times have changed and so has our education. We will also be offering a package of 1 x Personal Training or Group Personal Training Sessions (either 30 minute or 45minute), unlimited group training and individualised nutrition. This could just be the kick that some of us need. It is not necessarily long term however instead to get one back on track. We will mentor and keep you accountable until we think you are ready to go back out into the big wide world (of group training) on your own. This is valued at over $250 however we will work within a price that suits each individual. These sessions are based on the individual/(s) only goals, these also include private group training. These are designed specifically for your needs. In 2016 we have opened up a few more time slots and are happy to match or beat ANY PT prices around Toowoomba. We understand PT prices are demanding however remember – you get what you pay for. Transform yourself with our personal training session 1 on 1 or with a group of friends at a time that suits you to ensure you get the best personalised advice from our expert team here at Fighting Fit. Training sessions are varied to focus on different areas including resistance, endurance, cardiovascular, flexibility, core and much much more. Come and have a chat to us if you’d like to form a group, or are keen to join one! Try something different today. These have been the foundation of our training programs for some time now. These sessions will give you amazing variety to ensure you don’t get bored and you don’t plateau. Sessions include but are not limited to:- Boxing for fitness, Ladies Only, Strength & Conditioning, Functional movements, Kettlebells, Military based, Combat style, Calisthenics, Core Strengthening, HIIT, Metcons and much much more. Sign up before February and pay $100 for unlimited monthly training for the first 3 months. Teens (11-16yrs) – Monday, Tuesday, Wednesday & Thursday at 4pm. We are all about helping you achieve optimal health, so we have secretly been studying our tushies off to be able to offer you individualised nutritional and physical training programs. 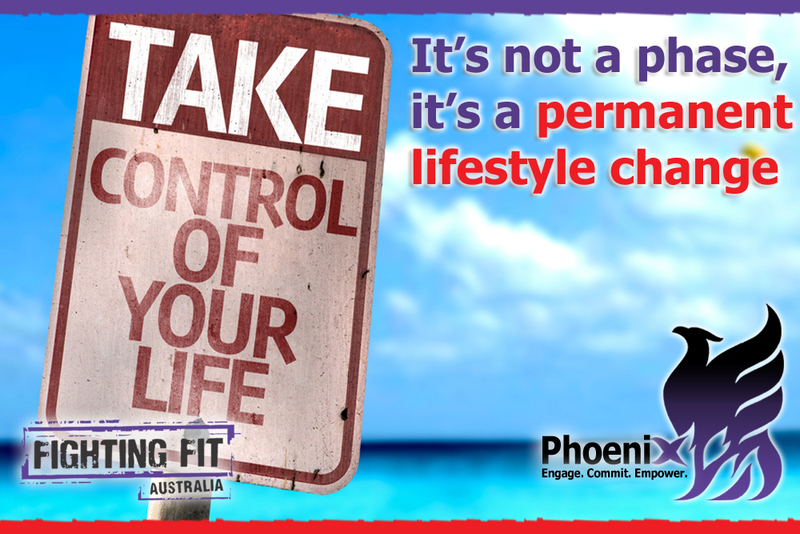 This is a first for Toowoomba and an exclusive program for Fighting Fit & Phoenix. No gimmicks, no cheats, just honest, reliable, factually based nutritional guidance. Each program will provide a breakdown of macro nutrients, & are specifically calorie controlled per individuals needs. Every client will have access to their program on-line, so they are able to view & modify components, & monitor their own progress. These programs are available to all existing clients, new FF members & are especially valuable to those who may love what we do, but for whatever reason, be it living remotely or working away, are not able to get into the gym or office to see us or train with us regularly. It will provide you with a link to our nutritional programs and training techniques, as well as maintaining motivation and ensuring accountability. We will be conducting workshops on 4 weekly basis for those wanting to learn or progress new skills. Upcoming details will be released in the new year. Health and Fitness has become over complicated – people don’t know where to begin. If you don’t know where to start yourself then contact us for some support and guidance today.